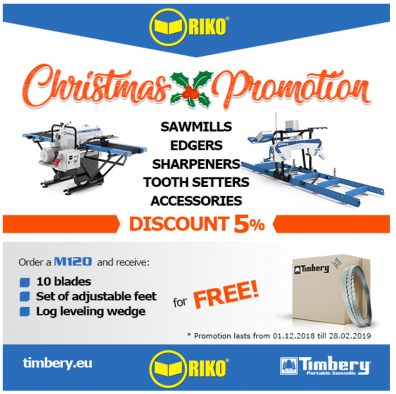 5% discount on all Timbery Sawmills, Edgers, Sharpeners, Tooth Setters. 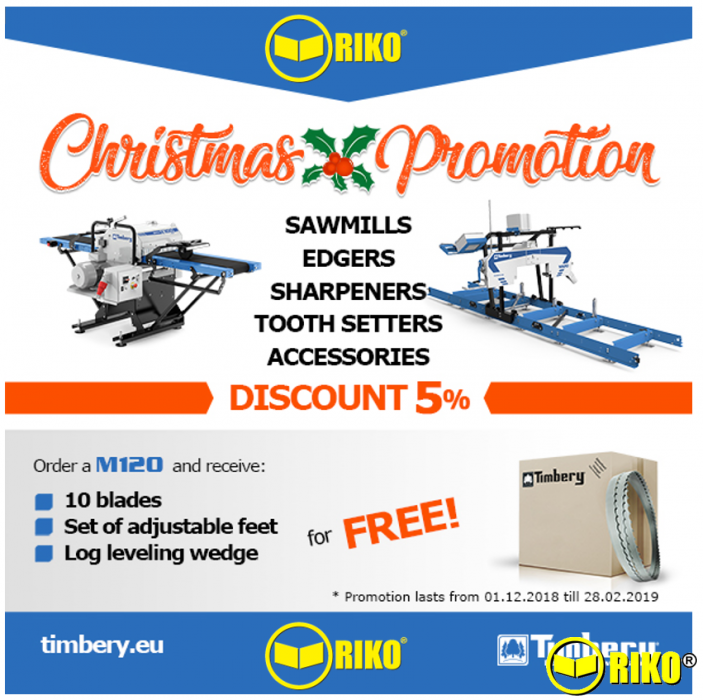 PLUS a free package if items with every new Saw Mill, this includes a pack of 10 blades, a set of adjustable levelling feet and one Log Levelling Wedge. All orders must be placed & paid for before 28-02-2019.